You had perfect attendance all semester long. You logged extra hours in study hall. You made flash cards and prepped for that test as best as you knew how. And when the time came to take the test . . . you forgot everything you learned in class! So frustrating, right? In a similar way, has your brain ever frozen when you tried to witness to someone? You’ve read all about Christ’s birth, crucifixion, and resurrection. You sit under gospel preaching every Sunday. But when face-to-face with a friend or stranger who wants to know who Jesus is or what the Bible is about, you suddenly feel ill-equipped or nervous about sharing your faith. It’s not always easy leading a conversation toward the gospel, whether with friends or strangers. It certainly doesn’t come easily for me. That’s why these two stories about an elderly woman and a teenage girl really made such an impression on me. Mrs. Miller is a ninety-three-year-old widow who lives in an assisted living home. Quiet and unassuming, for years she served the Lord by raising her children, serving in her church, and, in later years, caring for her aging husband. She could easily say she’s done her part and that now it’s time to just take care of herself. 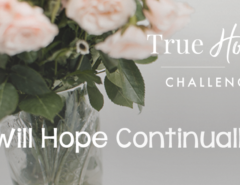 But one day, when I asked her how I could pray for her, she didn’t rattle off a list of physical ailments or concerns for grandchildren like I expected. 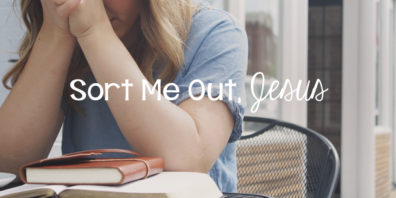 Her request was that she would study the Bible more and have the desire to speak to unsaved people she encounters. That both convicted and inspired me. Here I am in my late twenties with much more energy and life ahead of me than she has, and yet my desire to look outward and be bold for Christ doesn’t compare to hers! 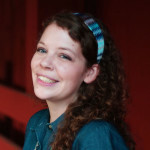 Lindsey, nineteen and unassuming, has never been comfortable sharing her faith. It wasn’t that she doubted her salvation or lacked opportunities to speak up, she just felt unqualified and worried that her limited knowledge of doctrine and theology would hurt her witness. Then a message on Ephesians opened her eyes to the fact that God has already equipped her with everything she needs (including courage!) to tell others what Jesus did for her on the cross (2 Pet. 1:3). She doesn’t need a Masters of Divinity to share the good news of Christ’s birth, death, and resurrection. She just needs to let her love for Jesus overflow into her conversations and friendships as He grows in her a love and compassion for people who don’t know Him. So what’s holding us back? Do we make excuses, reasoning that we’re too young or inexperienced? 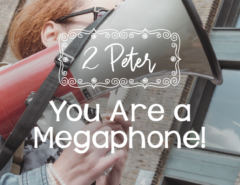 The apostle Paul told a young, insecure pastor not to let fear stop him from sharing the gospel. He wrote in a letter to Timothy, “Don’t let anyone look down on you because you are young, but set an example for the believers in speech, in conduct, in love, in faith and in purity” (1 Tim. 4:12). Are you shy or tongue-tied? Paul wasn’t timid or reserved by any stretch, yet even he asked for prayer to boldly proclaim the gospel: “Pray also for me, that whenever I speak, words may be given me so that I will fearlessly make known the mystery of the gospel, for which I am an ambassador in chains. Pray that I may declare it fearlessly, as I should” (Eph. 6:19–20). Opportunities for gospel conversations arise when we see the people around us as God’s image-bearers rather than nameless strangers. We don’t have to be eloquent speakers. And age doesn’t have to hinder us. If you know and love Jesus and His Spirit is at work within you, you are fully equipped to share the good news of Christ’s love with someone in need of a Savior! Opportunities for gospel conversations arise when we see the people around us as God’s image-bearers rather than nameless strangers. Moments to share our faith can happen when we take the time to smile at the cashier and strike up a conversation; when we invite a friend from school to church or small group; when we chat outside with that next door neighbor. God’s redemption story—the gospel—is way too good to keep to ourselves. 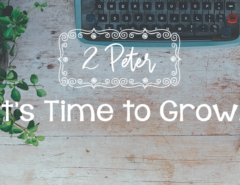 Let’s boldly share the good news with someone! What fears often keep you from sharing the gospel with someone? Sharing the gospel doesn’t need to be complicated. What are some natural opportunities in your daily life where you could share Jesus with someone? 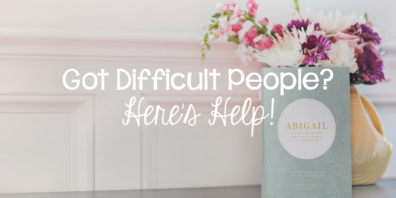 Previous Article Got Difficult People? Here’s Help!